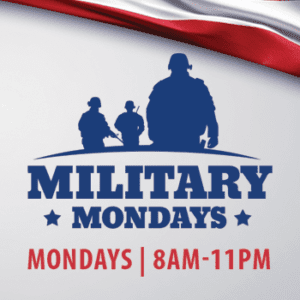 Honoring Military Men & Women every Monday from 8am to 11pm. SWIPE at the Kiosk to receive a $2 Food Coupon and $10 in Bonus Slot Play. Visit Players' Club to provide proof of service if necessary.